There's never been a better time ... or place ... for orthopaedic care. Throughout Middle Tennessee, surgeons and patients are reaping the benefits of innovative treatment options resulting in better outcomes and quicker recoveries. Saint Thomas Health recently announced the launch of the Nashville Hip Institute at Saint Thomas Midtown. Formerly known as Nashville Sports Medicine and Orthopaedic Center, the initiative is a partnership between Saint Thomas Health and surgeons Tania Ferguson, MD, and JW Thomas Byrd, MD, a respected pioneer in hip arthroscopy. "My decision to move to Nashville was inspired by the merger of my expertise in complex open hip surgeries with the revolutionary work of Dr. Byrd," Ferguson said. Combining their individual expertise and unique backgrounds in hip surgery, the surgeons offer a vast range of interventions for conditions including femoroacetabular impingement, hip dysplasia, pelvic and acetabular fractures and arthritis. "My vision is that our driven program will decrease the number of young men and women requiring hip replacement surgery by innovating pathways to preserve their own hips," Ferguson said. Periacetabular osteotomy is one of the latest dysplasia procedures performed at Nashville Hip Institute. In hip dysplasia, the socket is most commonly too shallow to sufficiently cover the femoral head, leading to hip instability and abnormal pressure on the periphery of the joint. PAO surgery involves cutting the bone and repositioning the socket to provide optimal coverage of the femoral head. This improves the mechanics and allows a more normal environment for the hip cartilage and soft tissues structures. With a combined 40 years of experience, Byrd and Ferguson partner up on these and many other interesting cases. 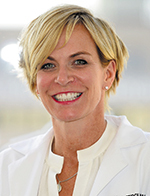 "The synergy of our skill sets has elevated the bar for our patients with dysplasia, but for many other diagnoses, as well, like avascular necrosis of the femoral head," she said. "Our partnership is changing the playing field when it comes to hip pain, without question." There's more good news for ortho patients at TriStar Centennial, where GPS technology has made its way into the operating room. TriStar Centennial Medical Center was among the first hospitals in the nation to offer Exactech GPS® Guided Personalized Surgery to individualize total knee surgeries for patients. The technology provides surgeons with real-time visual guidance and alignment data in total knee surgery. Similar to a car's navigation device, this advanced platform provides a visual map of the patient's joint on a screen, allowing surgeons to easily make adjustments, use minimally invasive techniques and perform implant alignment relative to the patient's needs. 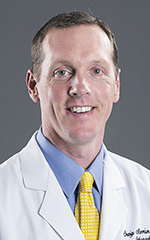 "Compared to mechanical instrumentation, GPS navigation gives the surgeon better accuracy more often," said Craig Morrison, MD, joint replacement surgeon with Southern Joint Replacement Institute at TriStar Centennial Medical Center. Morrison has used GPS in his operating rooms for four years. He was among the first to train on the newest iteration during its research phase and was instrumental in Centennial's implementation of the technology in early 2017. "When we look at outcomes in knee replacement, having the knee aligned well means better long term results," Morrison explained. "With traditional instrumentation, the bell-shaped curve is wider and we see more patients outside of acceptable alignment. With navigation you narrow the curve so you're more precise, and you limit the possibility that you're out of alignment." ExactechGPS provides surgeons with a comprehensive view of the knee joint and bone structure, which allows the surgeon to make adjustments to ensure accurate and precise placement of the implant. Morrison said prior attempts at computer navigated knee replacement put the computer out of the operative field, making it difficult to "change routes" once the surgery has started. "The bonus appeal is that it's in the operative field, sterile, and under the surgeon's control, " he said. "You can change plans in real time if you encounter something you don't expect." In 2011, Vanderbilt University Medical Center was chosen to manage the collection and analysis of neurological data for the Quality Outcomes Database (QOD). Today, VUMC researchers work with more than 100 sites nationwide to interpret data from more than 60,000 neurosurgical patients. 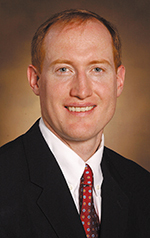 "Our overall goals are to track safety and quality of care following spinal surgery," said VUMC's Clint Devin, MD, co-vice director for the national database. "We're also trying to see which centers are performing the best at various procedures. 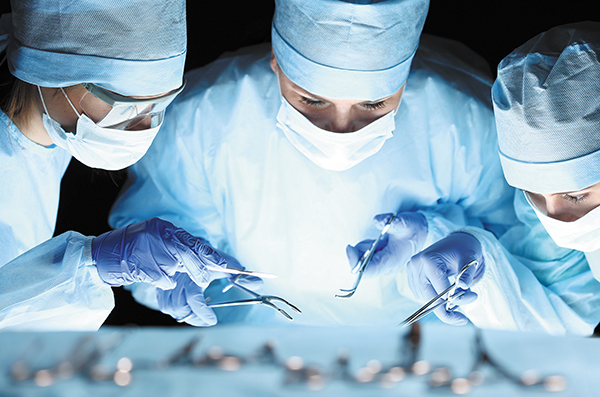 Once we see which surgeons are performing well, we can create best practice approaches and understand what they're doing to achieve better outcomes." While 85 percent of surgery patients are pleased with outcomes, the team is examining data for insight into the 15 percent who aren't. Researchers found opioid use prior to surgery is a key factor in a patient's inability to tolerate post-surgical pain and have since discovered a cutoff of opioid use for elective surgeries. Patients with untreated psychological conditions like depression and anxiety also tend to fare worst afterward. "Some factors can't be changed ... but some can," Devin said. "We want to find modifiable variables and start to implement them into practice to see how it improves outcomes." In an effort to lower readmission rates, VUMC also has partnered with the Institute of Healthcare Improvement in Massachusetts to classify patients into high and low risk categories. Devin said chronic pain typically sends patients back within 10 days of surgery, while those with medical complications typically return within 14 days. As a result, VUMC has instituted readmission initiatives and created optimization protocols for elective surgeries. Those standards have helped to lower VUMC's readmission rate to 5 percent - half of the national average. Doctors also are using VUMC's risk calculators to have personalized discussions with their patients. "Because of each patient's unique characteristics, some may not do so well after an elective surgery," Devin said. "It allows doctors to have a personalized risk/benefit discussion of a recommended spine surgery."